Sails, spinnakers and accessories …. All our products are manufactured using quality materials, tried and tested by us and our suppliers. This rigourous procedure allows us to offer 2 year warranty on all of our products other than racing sails. 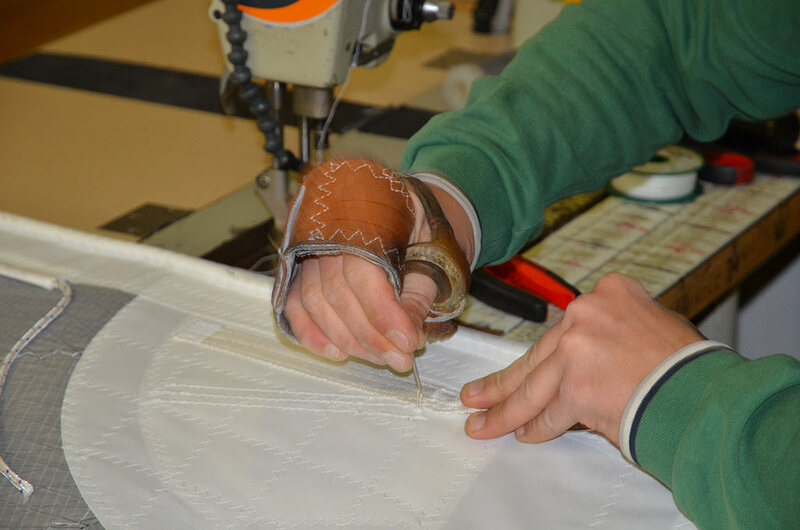 As every sail or accessory is individually designed and manufactured, it is vital the the data we use is accurate. If we can, we will come to your boat and take measurements, but, in order to facilitate things for you, you will find on our site, downloadable measurement forms which you can complete yourself. Please try to fill in every field, double check your figures, and do not hesitate to give us a call for help and advice. As every sail is individually designed and manufactured, the first thing to do is to get accurate measurements, either by visiting your boat, or by using a reliable sail plan. Our technical team will check the validity of the data first, the proceed to design the shape of the sail, and choose the materials and finishings relevant to the sail's use. Once this 3D model and data sheet are complete, they are transfered to production. The design team will follow through with each sail to ensure that the end product matches the specification. Panels will generally be computer cut to ensure accuracy, before being assembled, by glueing and stitching as appropriate. Sails are often made in sections, before being assembled on the loft floor. Details of fittings and finishings, as specified by the design team are steadily applied. 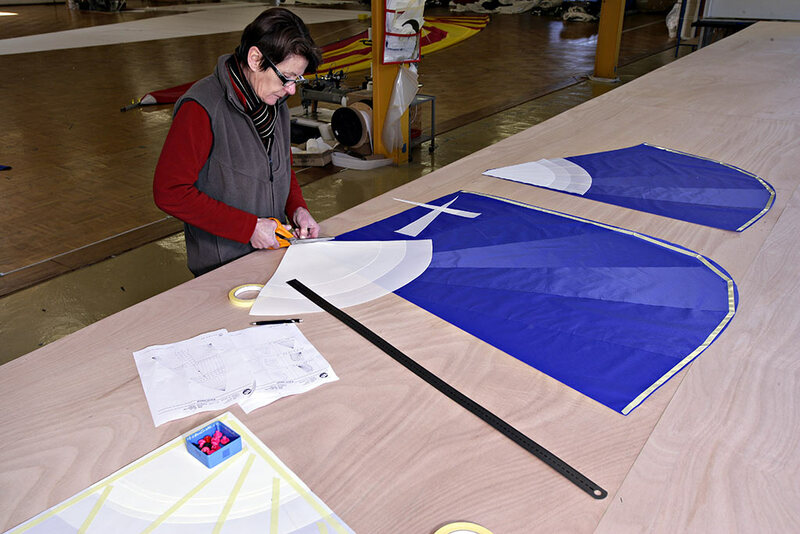 The sail is laid out, stretched or hung to check its shape and conformity with the design.